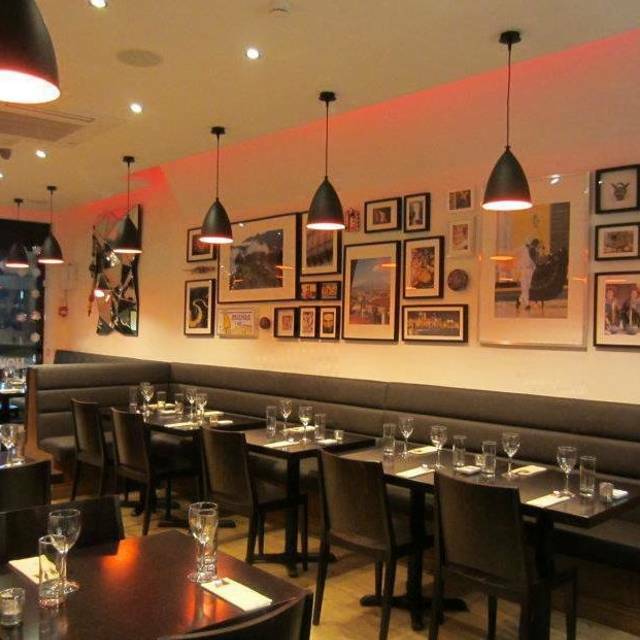 Tierra Peru, London's most authentic and traditional peruvian restaurant. Our menu features an authentic selection of Perus most popular dishes cooked in a traditional way; ceviches, tiraditos, anticuchos, tamales- just to name a few- representing the different regions of this diverse country. 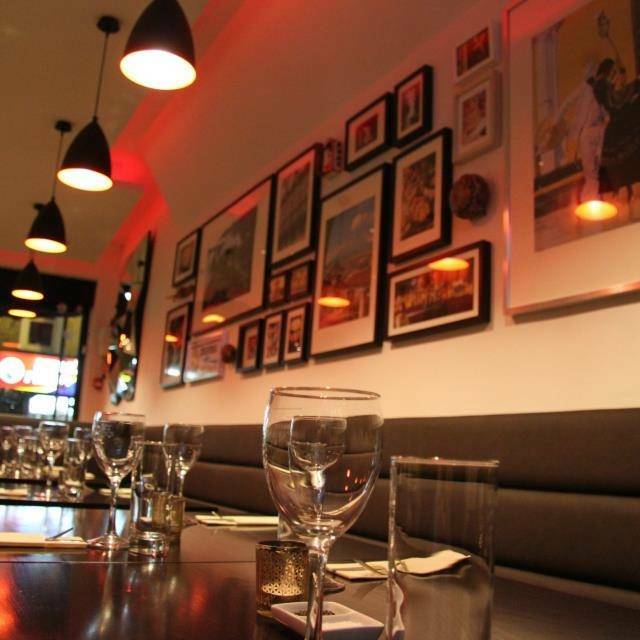 The restaurant has a lovely and relaxed atmosphere. Yuquita Rellenas - Box It! Tamalito de Pollo o Cerdo - Box It! Papa a la Huancaína - Box It! Pulpo al Olivo - Box It! Causa Limeña - Box It! Ceviche Tradicional - Box It! Ceviche al Olivo - Box It! Ceviche al Verde - Box It! Ceviche de Hongos y Palmito - Box It! Tiradito de Pescado - Box It! 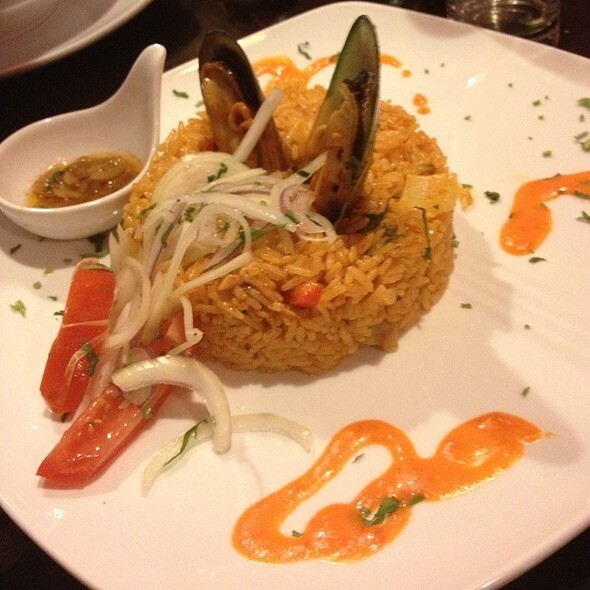 Arroz con Mariscos - Box It! Seco de Cordero - Box It! Lomo Saltado de Carne o Pollo - Box It! Aji de Gallina - Box It! Papas Fritas - Box It! Salsa Criolla - Box It! Yuquitas Fritas - Box It! 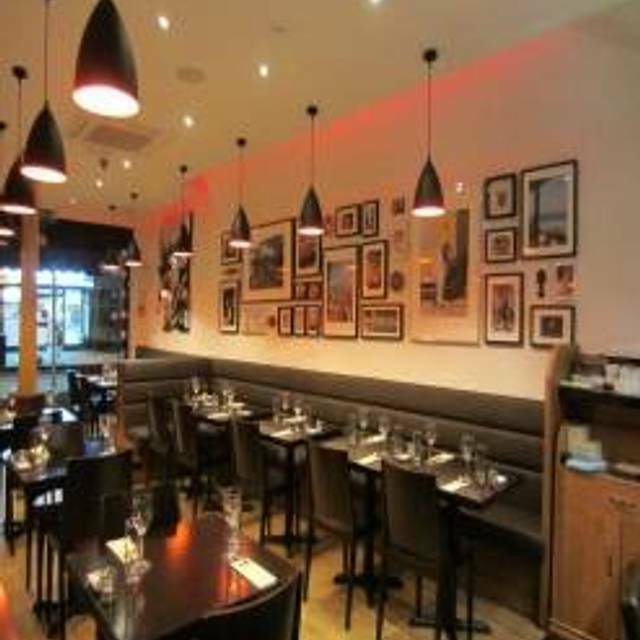 Great place on Essex Road! 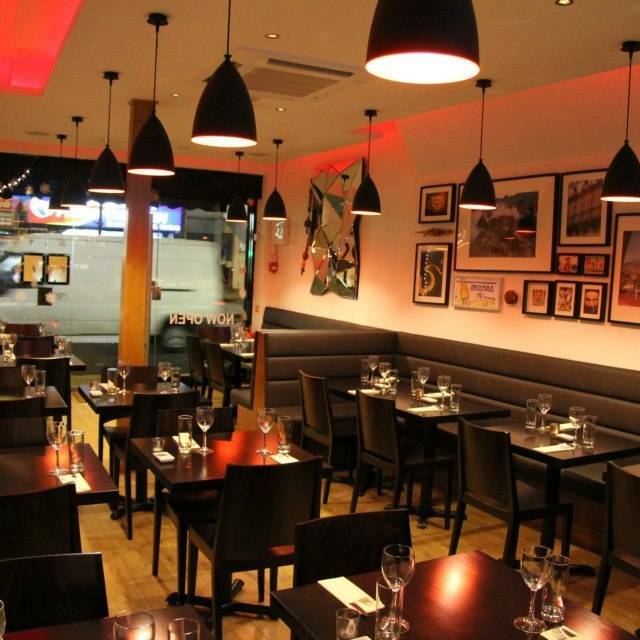 Tierra Peru is a hidden gem in Essex Road - nothing fussy, just good, honest Peruvian food done right. 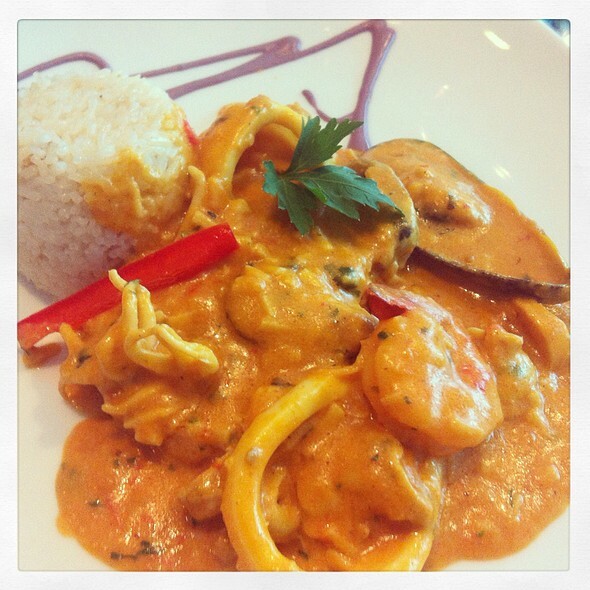 The staff are very friendly, and the food tastes excellent, an authentic taste of dishes I've eaten in Lima. This is not fine-dining, but it doesn't need to be - it's just a tasty, fun evening out. Really great restaurant and friendly staff, loved it! The best mojitos I've had, great service and great food. Amazing food and superb service, our waiter was so lovely. Had a great meal and will definitely return! Best Peruvian!! Great service atmosphere and food! Will be back’n thank you. Great cute place, very friendly service and above all excellent Peruvian drinks and food! Wonderful service - lovely warm, friendly staff, fab Pisco sours & great food. Seems to be run by a Peruvian family - they brought back memories of our trip 10yrs ago! You have to go here! With a forthcoming trip to Peru we thought we should try out a local Peruvian restaurant to see what we might expect. We were delighted by the experience at Tierra Peru. From the enthusiastic welcome through to the Coca Spirit on departure we found the environment and the food to be excellent. The staff are attentive, enthusiastic, and helped explain the menu and the origin of the dishes. We started with some great Pisco Sours. The starters were quite large - nicely flavoured ceviche, the tamalito de pollo was new to us and enjoyable and the Anticuchos were enjoyed by our children. The mains were excellent - and substantial - and we recommend the Chicharron and the Cordero Huanuqueno. Desert- if you like chocolate then try the chocolate and Pisco mousse. Overall we must have spent nearly three hours there and the time flew. An enjoyable evening and we will certainly be back. Great food ! 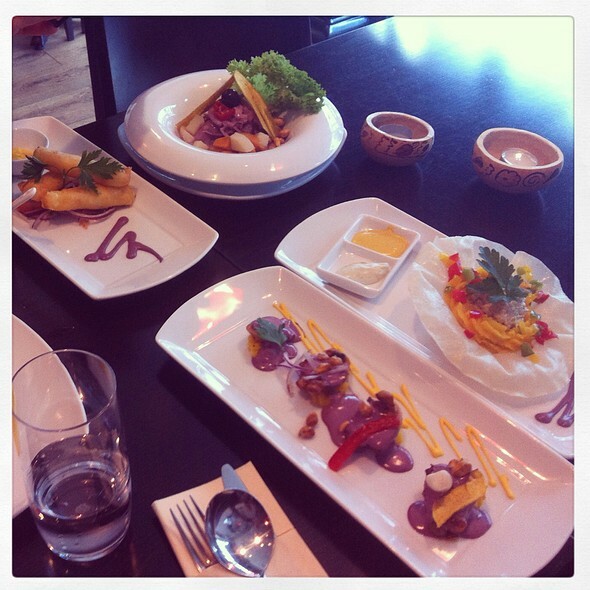 We love the presentation of the dishes. The flavour is amazing . This time we had to wait longer than we expected to be served. 2 waiters for the whole place on Saturday it is not enough . They need to improve the service ,but again we will be back because of the food. I recommend Tierra Peru to everyone and I will definitely be there again. Very good, fresh food, nice service and delicious drinks. We booked a table for two at 8:15pm. We arrived on time but they said that were busy and told us to come back after 20 min. After that we had to wait another 10 minutes to be seated. We did the orders and asked for a Chicha Morada which was very good but a bit expensive. Everything was fine until it seemed they forgot our order 'cause we waited like 40 minutes! I went to the bar to ask for our dishes. They said it would take some minutes more. More than 40min? I was a bit annoyed But at the end it arrived! The anticucho was amazing i must say. The ceviche very good. even though the ceviche mixto needed to be chopped in smaller pieces. Before asking for the bill the owner came to our table and said that they was going to give us 2 pisco sour as compensation for the long wait. My final review is that the food is good. The prices a bit expensive. Service is ok. But they need to be more organise and manage their times better. So lovely! The staff are really nice and the place has a great feel. Went on Valentine's so they had a great live band. Food was pricier than I'd like but really nice. Very warm and friendly family run restaurant who make you feel at home and enjoy celebrating special occassions with guests! Menu is extensive and all items we had were delicious, including all variants of the pisco sour specials! Would highly recommend to anyone looking for an affordable and varied night out. The food at Tierra Peru was excellent with large portions and well priced. We loved the bento box option as it allowed us to sample a couple of different dishes, but word of warning, the servings are very large and we were not able to finish everything. We will be visiting again. The food was delicious, the cocktails really good and they have Inca Kola. Tasty authentic cuisine and attentive and friendly service. Great place! Great people great food. Great atmosphere. A group of five of us went early on nye. Great food, great service and great ambience. Would definitely go back! Another visit to a place that has really stepped up over the last year or two since the new owners came in. Excellent food and something a bit different in the neighbourhood. Try to get a table away from the door if going in winter. Lovely place, amazing ceviche and brilliant service. The food was delicious and the service was extremely friendly. My only disappointment was that I had no room for pudding! Vegetarian chevice to start, baked sweet potato and the dish with sundries potatoes, all delicious. My meat and fish eating friends were equally impressed. I've eaten in other London Peruvian restaurants but nothing compares to the delights of Tierra Peru. Personable staff was very attentive. Food was delicious and served quickly. Salsa and Latin music helped create a nice atmosphere. Will repeat. I lived in Peru for almost 5 years and this is the most authentic/casual Peruvian restaurant in London. Good quality and quantity for a fair price. We enjoyed the meal and the really nice welcome. The owner is a very nice and hospitable person. Great Peruvian food and drinks, varied menu and very friendly attention. Great experience! Superb food and a service to match!!!! We will be def coming back!!! Great, authentic and unpretentious food with attentive staff (two charming Peruvian brothers) who bring a bit of South American magic to dreary London. Generous portion size, great tasting simple food which is fairly easy on the wallet. The food was really tasty, one of the best places to try Peruvian food! particularly ceviche and anticuchos. 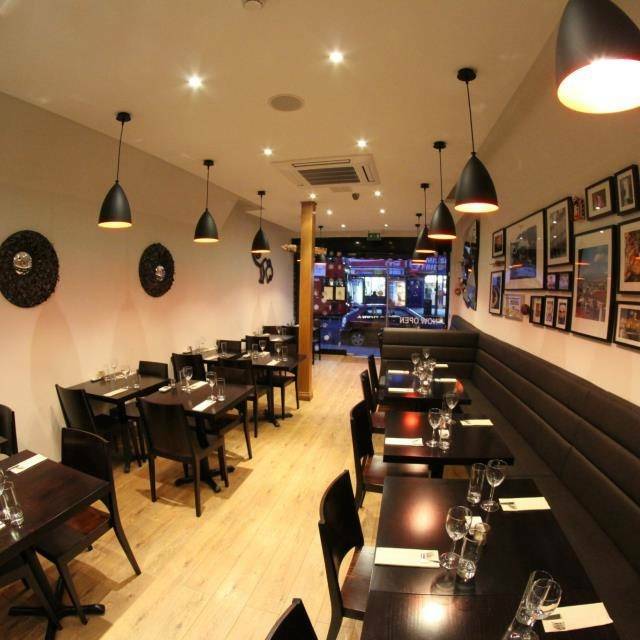 Their ceviche is one of our favourites in London. Portions are big enough to enjoy a starter and a main. Unfortunately we were so full we couldn't try the desserts. The service is outstanding! The owner is a very nice person who is paying attention to every detail. I will definitely come back! A warm welcome with good service. Food was delicious, good portions and beautifully presented. Pisco sours were heavenly and slipped down a little too easily. 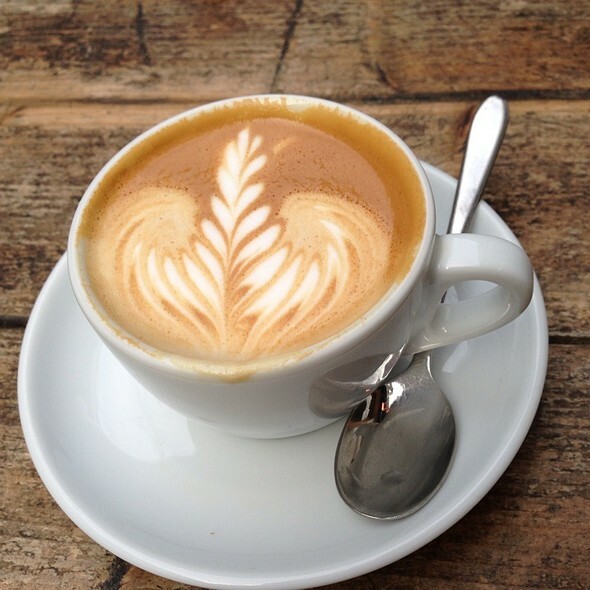 I would recommend Tierra Peru to anyone wanting to try a taste of Peru.